Start making plans for the weekend! There are LOTS of fun things to do around town with your littles! The Beach Detroit reimagines the familiar natural and cultural elements of a day at the beach to create an unexpected and memorable experience for people of all ages. Visitors ascend a ramp before entering an all-white enclosure, where the floor descends towards the highlight of the experience – an ocean of recyclable, antimicrobial plastic balls. The temporary Doom of the Dinosaurs exhibition allows visitors to view the impressive fossil casts of the last known dinosaurs to roam Earth, including the Tyrannosaurus Rex and Edmontosaurus. 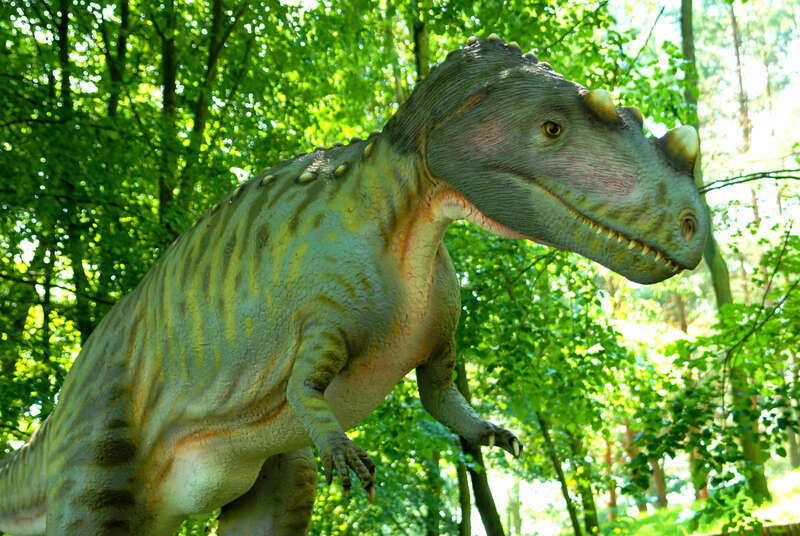 The dinosaur scene includes a dozen dinosaur casts that will leave your littles in awe, while offering hands-on activities to help them learn too. The Easter Bunny is ready for spring! Visit him in the magical garden in Oakland Mall’s Center Court. Visits are free, but if you wish to take a picture you must purchase a package. Full of song, this family friendly musical follows the struggles and triumphs of the March sisters during the American Civil War, and demonstrates the importance of positive relationships. The classic Brothers Grimm fairytale like you’ve never seen it before! With award-winning puppetry by Basil Twist, audiences enjoy a lavish production featuring flying angels, dancing gingerbread and a larger-than-life witch. And Humperdinck’s rich, lyrical score complete’s the magic! There will be an interactive egg hunt with lots of fun prizes and activities. There will be a petting zoo with the opportunity to interact and feed the animals. Plus, Stan Safety the Magical Fireman will be there! The Sound of Music is coming to the Fox Theatre for three performances from Saturday, April 13 through Sunday, April 14. The spirited, romantic and beloved musical story of Maria and the von Trapp Family will once again thrill audiences with its Tony®, Grammy® and Academy Award® winning Best Score, including “My Favorite Things,” “Do-Re-Mi,” “Climb Ev’ry Mountain,” “Edelweiss” and the title song. Come on out to Nature’s Playhouse for a non-toxic yesteryear open playtime experience with their all-natural play environment. Enjoy spending time with other families at a relaxed unstructured pace. All ages are welcomed! Come to Detroit Public Library Main Branch for preschool story time from 10:30am-11:00am. After the story, enjoy play time and a snack from 11:00am-12:00pm. Come on out to Troy Gymnastics for open gym! Kids 12 months through 5 years are invited to come tumble around for a few hours. If it’s your first time going, it’s absolutely free! This event is held in TG2. Come on out to Troy Gymnastics for open gym! Kids 5 years through 23 years are invited to come tumble around for a few hours. If it’s your first time going, it’s absolutely free! This event is held in TG1. Hunt for eggs and turn them in for treats! Mr. and Mrs. Bunny will be there, so bring your camera and a basket to carry your goodies. A petting farm and train rides will round out the event. Too old for an egg hunt? We think not! Join your fellow hunters on a Glow-in-the-Dark egg hunt, scavenger hunt and other activities in this fun after hours event! Come hang out and play MineCraft on Robot Garage’s custom server! There will be both survival and creative areas to enjoy either with individual play or with friends. Play at your own level and explore all the aspects of a multi-player MineCraft experience within the safe controlled environment of The Robot Garage. In honor of an ancient tradition we will make our very own candle lanterns to float upon the vernal pond. What a beautiful sight! Come on out to St. Augustine Catholic School for their annual Mom2Mom Sale! Come on out to Lutheran Northwest for the annual Mom to Mom sale! This is a great event that shoppers love because of our selection and our department-style setup, which is by size, and category! Join us for a morning of egg hunting fun followed by a visit with the Easter Bunny! The Easter Egg hunt takes place inside and around our awesome Play! structures! Along with the hunt, there will be plenty of other fun activities to do. EASTER BUNNY BREAKFAST Enjoy strolling entertainment and a visit with your favorite furry egg-toting friend. Breakfast will be served from 9-10am with your favorite breakfast items. Event runs until 11am. Try to contain your “egg-citement” for this egg hunt extravaganza! Children 10 and under are welcome to join for a fun-filled morning to include photos with the spring bunny, glitter tattoos, a bunny-themed craft and egg hunt stations throughout the 110-room mansion. Come on out to Maybury Farm for an awesome egg hunt! There will be plenty of fun activities for everyone in your family! Doors open at 9:30am, hunts begin at 11:00am. Join the Easter Bunny at Clawson City Park for an egg hunt beginning at 10 am. Don’t be late for a date with the Easter Bunny. The egg hunt lasts from 10:00 am to 10:30 am. 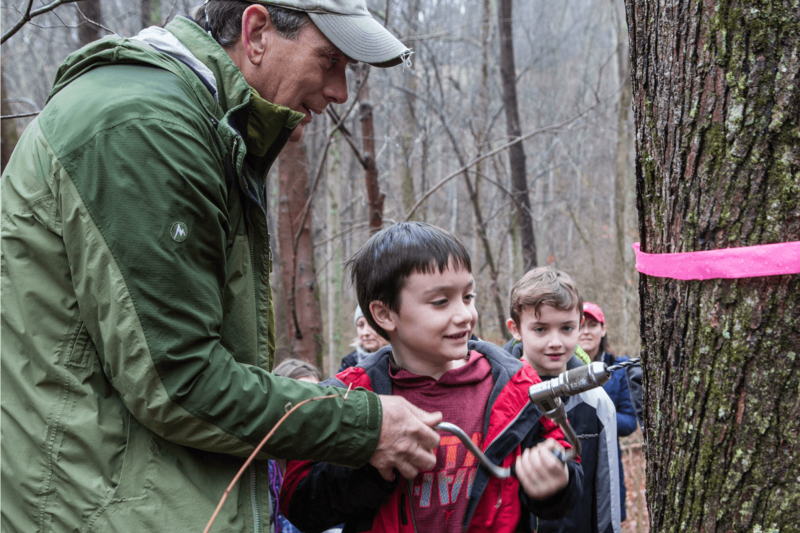 Enrich your child’s natural curiosity and encourage outdoor exploration through this hands-on nature discovery program. Children explore a different nature theme each month. They will touch, smell, hear, and see many aspects of the natural world! Register in advance at a discounted rate or pay the drop-in fee at the door the day of class. Please dress your child for the weather and exploring outdoors. This is a drop-off class. Hop into Easter with a free Easter Egg Hunt for the kids! Along with this, other activities are available such as face painting and more! Spend your Saturday morning with in Frances Dodge’s studio, where you will explore printmaking techniques, and leave with a handmade stamp and tote bag! While there, you will be able to take a look at some of the linocut prints Frances and Danny Dodge made when they were children. Everyone is invited to join us for a morning of “Egg”stra special fun and “Egg”citment. Don’t miss your chance to visit with MR. E Bunny who will be sure to have a surprise waiting for you. There will be plenty of games, crafts, inflatables, live farm animals and other surprises on hand to keep you busy and entertained. Pleasant Ridge residents are invited to enjoy a morning of yummy food and a visit with the Easter Bunny, followed by an Easter egg hunt. This event will be held at Huron Park ball fields, located at Frazho and Kelly. Participant’s ages two (2) through ten (10) can hunt for eggs and candy in separate age divisions. In case of inclement weather, this event will be held at the Recreation Center. Bring your camera for pictures with our “special guest”! Free EGGstravaganza Festival for kids with special needs and their families! Free & Indoors! Egg hunts, crafts, games, prizes (non-edible options available), face painting and photo opportunity among other EGGciting activities! Join us for an ‘egg’citing morning of ‘eggstra-special’ fun, including farm animals, games and prizes, inflatables, arts & crafts, and a visit with Mr. Bunny! Come try your hand at decorating eggs using unique and creative techniques. Then decorate your own special treat to finish out this really fun and very unique program. If you’ve come before, come again as we refuse to dye eggs the same way twice. Fill up your Easter basket with treats from special spring characters and get your photo taken with the Easter Bunny! Basket, treats, and printed photo with the Easter Bunny are included. Interactive art & fun for families and people of all ages! See over 200 pieces of artwork, hands-on activities for children, live entertainment and artist demonstrations. Help keep Lake Erie Metropark clean. Join us as we clean along the picnic areas and shoreline of the park. You or your group will be assigned an area to help clean. We will join back up at the Food Bar around noon for lunch. Individuals, families and groups welcome. Bring the kids out to enjoy a variety of Easter and spring-themed activities! Maximize your experience by registering for the Easter Bunny Breakfast which takes place just prior to this event in the Summit’s Grand Ballroom! Ages 11 and under. Come skate with the Easter Bunny! $8 includes skate rentals, drink and snack! This is not your ordinary egg hunt! We will start with a pizza lunch, followed by an activity and then head out to the egg patch to search for eggs. A bag will be provided for the search and all children will receive a goody bag. Children must be accompanied by a paying adult. Storytime at the Museum promotes art enjoyment for our youngest patrons. We read a story in the galleries and include a fun, age-appropriate, hands-on activity related it. Children ages three to six are invited to join us as we celebrate The Six Senses of Buddhism by meeting a giant panda named Stillwater in the book Zen Shorts. Join us for a Livonia Spring tradition! The annual Bunny Brunch will take place at 11 a.m. on Saturday, April 13. Children will experience fun Easter games, petting the adorable farm animals, face painting and hunting for eggs at this special event. The Easter Bunny will be joining us for this wonderful family gathering and your child can have their picture taken with him, so don’t forget to bring your camera! Come on out to Hunter Community Center for an awesome Bunny Brunch! Breakfast (French toast sticks and sausage) and Ventriloquist Richard Paul’s hare-raising mystery program, “The Easter Bunnies’ Missing Egg!” It’s fun for all ages! Celebrate Spring with Maybury Farm, Maybury State Park, the Friends of Maybury and Northville Parks and Recreation. Join in on the fun of a spring egg hunt (by age group for ages 2-10) and receive a prize bag with candy, toys and more! Hop to it! Don’t let your kids miss this chance to munch lunch with their lovable, floppy-eared friend. The Easter Bunny is coming to town! Children are invited to hunt for Easter eggs, make an Easter craft, enjoy refreshments, and more! Don’t forget to bring a camera to take a picture with the Easter Bunny! Join us on Saturday, April 13 from Noon – 4:00 PM as we celebrate Mother Earth at this FREE EVENT! Join us as we sample pizza from local pizza places to determine who has the best pizza in Clarkston! Come ready to create because we also be making our very own dessert pizzas to enjoy after the taste testing! Come hungry and ready to crown a local winner! We will also be making fun pizza crafts! Your Kid will have an “egg”citing afternoon at River Bends Park scrambling for goodies-filled eggs. Watch for an appearance by the Easter Bunny and don’t forget your camera and basket! Join in the fun and have an EGG-citing time! Decorate eggs, an Easter bag, go on an Easter egg hunt, hear about the legend of the Easter Bunny and even meet him in person! There will be games and lots of fun activities that will keep you hopping with excitement! NOTE: Please bring your own hard-boiled eggs! Kids ages 2-13 years old and their families are invited out for some EGGS’pecially fun activities including: the return of Gordon Russ’ Hipitty-Hopitty Magic Show, the Chamberlin Petting Zoo, cookie decorating, games, crafts, face painting, moonwalk and inflatable obstacle course and more! Snacks will be available for purchase. An inexpensive and fun night out for families! Spend quality time together and enjoy basketball, swimming, inflatable castle and more. Spring nights bring out the peepers peeping and the toads a trilling. Join us as we hike up to a mile on a paved path to hear their songs and maybe catch a glimpse! Remember to dress for the weather as this is an outdoor event. Come on out to Troy Gymnastics where the BIG kids take over the BIG Gym! Teens can explore the gym from the floor to the ceiling. Kids can tumble, jump & play while their parents are away! Shop, dine, or catch a movie while your child is supervised in a safe environment and meeting new friends! Come on out to Troy Gymnastics for open gym! Kids 12 months through 23 years are invited to come tumble around for a few hours. If it’s your first time going, it’s absolutely free! If you plan to often, monthly memberships are available at $55 for unlimited open gyms. This event is held in TG3. After migrating to its new home, the U-M Museum of Natural History will open on April 14, 2019, with more exhibits to come in the fall! Embedded among the labs at U-M’s new Biological Sciences Building, the museum doesn’t just preserve the past; it also shows off the latest in scientific research with interactive exhibits, new programming spaces, and a state-of-the-art Planetarium & Dome Theater! We are so Egg-cited for our Easter Egg Hunt on April 14th from 9:30am – 12pm. Hop on over for some open play, pizza, juice, salad, visit with Easter Bunny and special discounted photo packages by Amber Alaouie Photography! This public event for Farmington Hills’ Festival of the Arts has inspired student and community education and engagement in the arts for more than 20 years! With a full line-up of music and dance performances, a Shadow Puppetry Workshop, The Art of the Matter panel discussion, hands-on activities for children, artist demonstrations and over 200 pieces of artwork! There’s no better place to spend Earth Day than a nature center (we really love Earth) and no better person to help teach you about recycling than Relish the Raccoon. We will put together our own crazy recycled earth day art project and then go out and enjoy the sight, sounds and smells. We invite you to join us as at the 18th Annual Detroit Greek Independence Day Parade in historic Greektown, Detroit, on Sunday, April 14. The Detroit Greek Independence Day Parade, now in its 18th year, is one of the largest cultural parades in the United States, with thousands of Hellenes from Michigan, Ohio and Canada gathering in Greektown for the celebration. Camping out and not ready to end the night? Having a sleepover for the kids and ran out of ideas? We’re so excited for National Astronomy Day that we’re celebrating a week early! Learn how to read a constellation map and enjoy the stars on a night out. Create a starry craft so you can relish those constellations in your home. 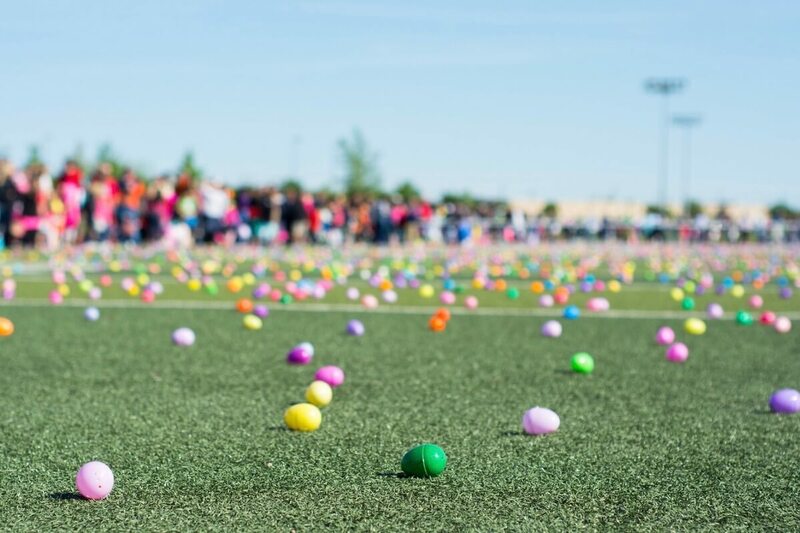 The Easter Bunny will hop into Wixom with lots of candy filled eggs for children to hunt in this traditional Easter Egg Hunt. There are 2 areas for different age groups. To be sure everyone leaves happy, limited to 5 eggs per child. From 12 weeks of fun to 1 week of basketball training with the Pistons Academy – Franklin Athletic Club hosts a variety of summer camps for all ages and schedules. Check out what they offer and see what works for your family. games and lots of fun activities that will keep you hopping with excitement! Come on out to Friendship Canton Church for this fun, FREE, epic Easter event for families with kids Pre-K – 5th grade! Follow the journey of some madcap characters each of whom has a plan – they all want to capture a beautiful bird perched high in a tree! Sounds simple, but the quest becomes an obsession and the obsession becomes the absurd! Where will it all end? Join us as we follow the characters’ exploits, meet an elusive and magical little birdie and discover that perhaps freedom and kindness are more important than getting what you want at any cost! EGG HUNT IN THE POOL! Join us for our annual Easter Egg Hunt in the pool on Sunday, April 14th from 5:00-7:00 PM! Enjoy snacks, crafts and a special visit from the Easter Bunny! For MORE EVENTS happening this weekend, please check out our full EVENT CALENDAR! Find Spring Favorites HERE! Check out these ideas for how to enjoy these rainy spring days. 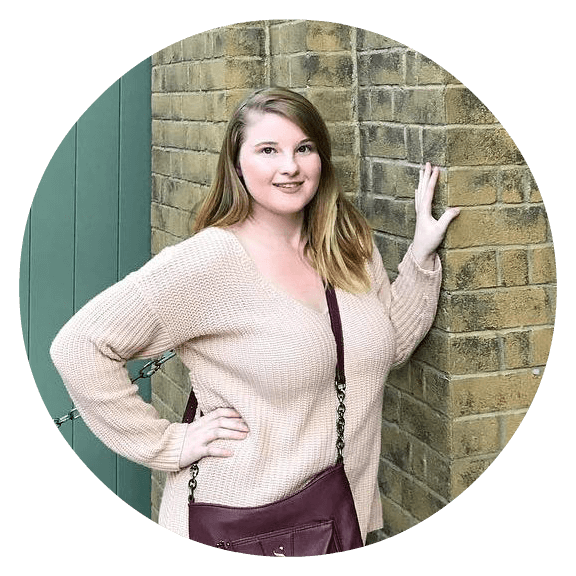 Katie Cramton is a recent graduate of University of Michigan-Dearborn and contributing writer for Little Guide Detroit. Born in Flat Rock, she is no stranger to the Metro=Detroit area. She loves spending her time with her friends and family, as well as exploring Downtown Detroit.